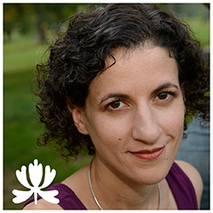 Susan Shehata, also known as The Space Guru™, is an Educator, Guide and Performing Artist, who specializes in helping people identify and release hidden obstacles that hold them back from the life they envision. She does that through Space Consultations (feng shui, organization, design, space symbolism), through Holistic Wellness Services (energywork, coaching, Core Story Work and Breathwork) and through Music & Theatre (as a nationally touring Kirtan musician and actor/singer). Though her offerings are varied, the goal of her work is the same: to clear the deep patterns of resistance in people’s lives. Susan has been a professional performer for nearly twenty years and a certified wellness professional, focusing on transformational healing and space work, for thirteen years. Together, with her partner, Keith Helke, she is the owner of Shift Home & Lifestyle, LLC, a lifestyle transformation business that offers holistic wellness and home services (design + build). Raising the Consciousness, the media and events arm of her business, produced a radio show by the same name, and produces the annual Twin Cities Kirtan Fest, and other healing and music events that inspire global change through individual action. After five years as the co-owner of Sacred Rearrangements, shop and healing center in Uptown Minneapolis, Susan now houses her finely curated Bohemian home décor boutique in the Cottage House Occasional Market. Susan is also a writer, whose writing has appeared in The Huffington Post and whose column, The Space Guru™, has appeared in the Edge Magazine and Southwest Journal. As a musician and performer, Susan focuses on musical theatre and kirtan (yogic chant music) and recently released her first kirtan album with her band, Sitara & Kalyani with Pavan-Kumar. Her life’s mission is to use her voice as a performer, writer, healer and mentor to assist in global evolution.